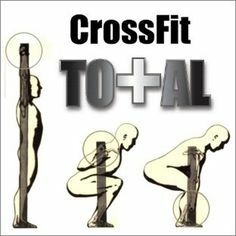 The Crossfit total is a test of the three lifts that best showcase your functional strength: Shoulder Press, Deadlift, and Squat. We don’t just want to do this solely for the sake of getting stronger; increasing strength allows you to have more work capacity and unlocks the ability to increase speed, endurance, and etc. The stronger you are, the easier WOD’s will be and the better you will become. No other aspect of crossfit can improve the rest like strength can. Testing the Total will give you an idea of how strong you are, with that RESULTS just happen!